February 19, 2018 by Laurie 5 Comments This post may contain affiliate links, which means if you click on a link and purchase something, I may earn a small commission (at no additional cost to you.) See my disclosure policy HERE. 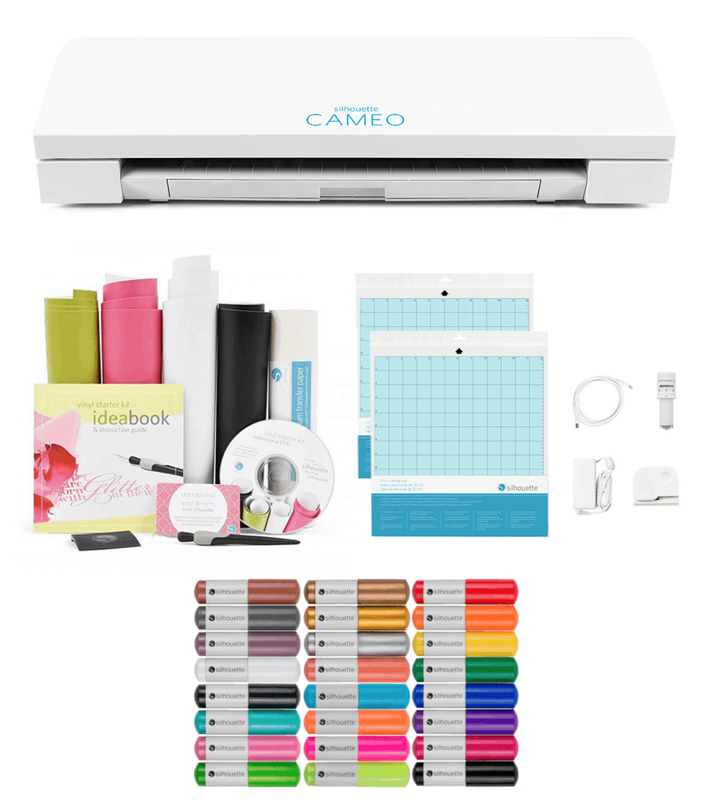 Zulily has dropped the price on this Silhouette Cameo 3 Cutting Machine & Accessories Set to only $199.99! That's a big savings off the original price of $375. (Just search “silhouette cameo” to see the deal). After having both the Cricut cutter and this one, I prefer the Silhouette by far, and this is an incredible deal! Also check out this iron on adhesive to make shirts, it works great and is what I’ve used for projects in the past! Go HERE to learn more, and if you have a Silhouette Cameo Cutter, I’d love to know if you’ve been pleased with it! Curious what the Silhouette can do? I made the DIY Butcher block sign shown above using my Silhouette in just a few minutes. So fun! Plus, check out these super cute Iron-On Glitter Projects we whipped up using the Silhouette! Thank you! My daughter is excited she just ordered one! the link directs me to zulilly, but I can not find the machine on their anywhere. Do you have a better way to find this?